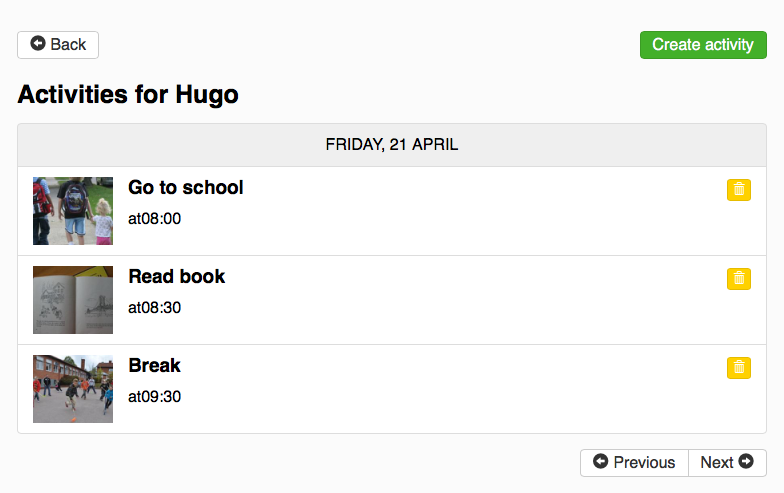 As a teacher, parent or relative, you can help with the planning of the day. Click here to create a new account. When you have registered as CapePlanner, you can start to add CapeUsers for whom you will be drawing up plans. Each CapeUser has an individual account and logs in with an individual username and password. You must give a unique password to each of your CapeUsers to enable them to log in to the app. When you click on “Connect” you gain access to the username that the CapeUser needs to log in to the app. If you want to schedule activities for several people, such as a school class, at the same time, create a group for these users by selecting the “Groups” tab and then clicking on “Create group”. In order to edit the information of your CapeUsers, select the “Edit” tab under “APP users”. If you change the username or password of a CapeUser, you must then give the CapeUser the new information. If you choose to invite further CapePlanners, we recommend that you specify their telephone numbers, in case you need to contact them. If you invite further people to help with planning, they obtain access to the same accounts and this means that they can add and modify activities. However, you are the only person who can invite or remove users. Everything is now ready for you to start planning activities. The activities you create will become available in the app. You can select an image for each activity. Upload your own image or select one from our image library. 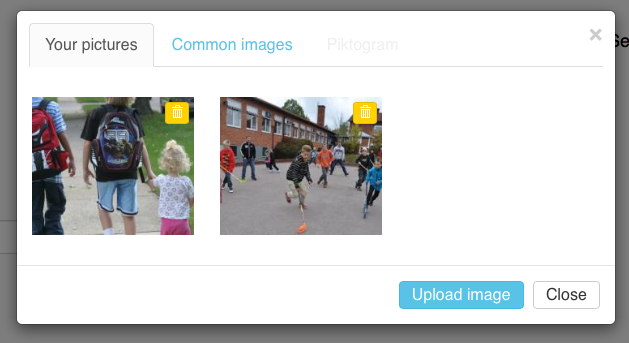 Each new image that you upload is saved in your own image library. Choose a date and time at which you want the app to send a reminder to the CapeUser. Choose the duration to be allocated to each activity. When it is time for the CapeUser to carry out an activity, a timer is displayed in the app. Click on repeat the activity to select the desired day to repeat the activity. Your name, e-mail address and telephone number are visible only to other CapePlanners who have access to the same account. Use the menu for changing your profile to change your password.